Ballet Genius: A Review of Eifman Ballet of St. Petersburg. I came to Boris Eifman’s Gala Night completely prepared to fall unconscious. I was sick, sleepy, and my aunt, whom I haven’t seen in months, was the only real reason I was there. We crammed into the tiny seats not far from either the back wall or the ceiling of the New York City Center on West 56th Street and allowed people to step all over our feet as late comers tried to shuffle to their seats before the curtain came up. The show was sold out. It is very difficult to tell a story with ballet–the audience should know the plot and then read it into the dance. This is why I often fall asleep or at least find my mind wondering while enduring the art of ballet I have to remind myself took the dancers years to perfect. 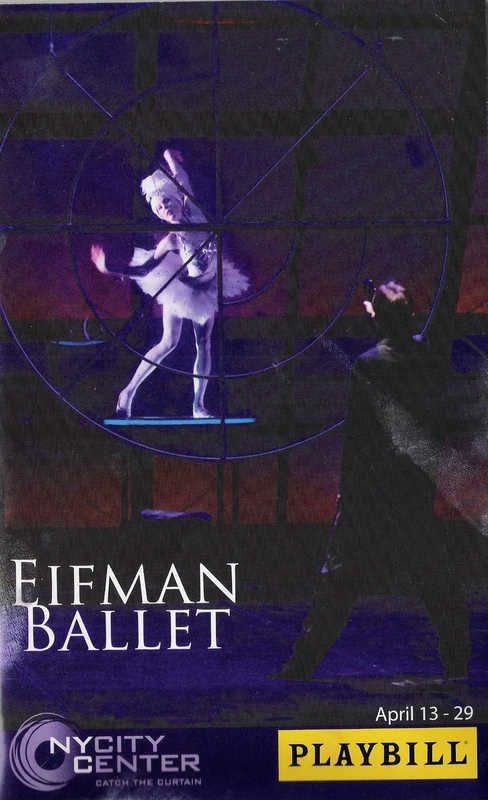 Eifman reinvents the ballet with each new production and makes it clear that it is not a one-dimensional performance to be enjoyed only through hyper-cultural snobbery. Without any prior inkling of what the plot may be aside from what the title provided, I entered the theater and was overwhelmed by the filth on screen. Literal filth that is, of the maggots and fish guts variety. The dirt and refuse of Paris in the 1800’s. Despite my body’s better judgment, with flies flying over rat corpses so close to my face, my jaw dropped, and stayed dropped, all the way to the end of the movie. The plot is filled with twists and a lot of it is a wonderful example of “show, not tell” that is preached by creative writing teachers everywhere and should really be exercised more often in film. There is dialogue and there is even a narrator, which gives the movie it’s fairy tale essence, but the main character is a man of few words and the most moving scenes are silent. Brought to you by the maker of “Kids”, Larry Clark, are seven Latino teenagers in a documentary-like take of what would happen if they went from South Central to Beverly Hills, in his newest movie “Wassup Rockers”. These teens “from the ghetto” chose the Ramones over 50 Cent, tight jeans over huge pants, and skateboards over guns. To an energy filled soundtrack, the camera follows their lives for 24 hours as they are hassled by absolutely everyone, shot at, chased by dogs and police and constantly seduced. The 15-year old Jonathan has his shirt off more often than not, and one gets the sense that his barely pubescent body is being sold more than his story.